Pharma Marketing Blog: Is There a Doctor in the House? FDA Bad Ad Program is Designed for You. Not So Much for Me! Is There a Doctor in the House? FDA Bad Ad Program is Designed for You. Not So Much for Me! 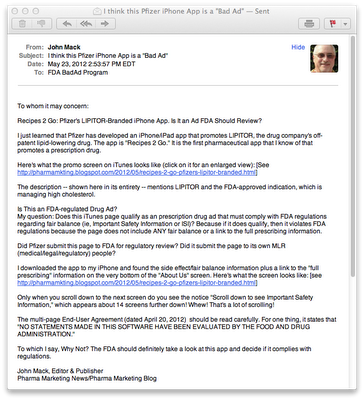 A minute later, I received an acknowledgement email from the FDA that started with "Thank you for taking the time to alert us to potentially misleading promotion," but ended with "If you are not a healthcare provider, please refer to the OPDP website for instructions on how to submit a complaint, or call (301) 796-1200." I was confused, so I called the number and left a message. Today, Olga Salis, OPDP Senior Project Manager, called me back to explain the Bad Ad complaint process. It appears that "healthcare professionals" (i.e., mostly physicians) can submit complaints about ads via email whereas ordinary citizens such as myself MUST use snail mail; i.e., send a physical letter to FDA/CDER/OPDP, 5901-B Ammendale Rd, Beltsville, MD 20705-1266. This distinction is not clear from the information provided on the Bad Ad page here. It's OBVIOUS that the FDA does not want to be bothered or flooded by consumer complaints because it is not making it easy for consumers to submit complaints. 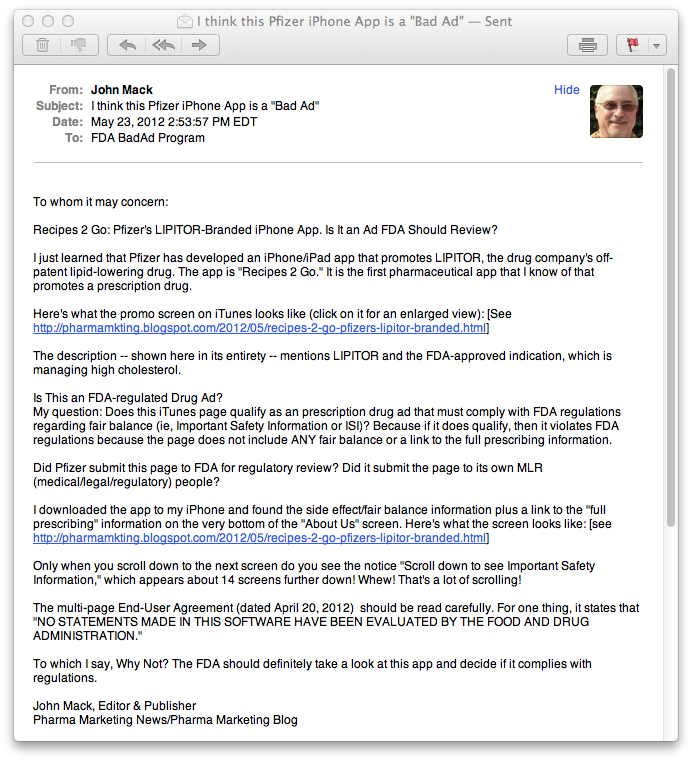 Who knows if FDA would have done anything with my complaint had I not called. As it is, it may take OPDP THREE months to respond or take action on my complaint, "if it has merit." Oh Snap! I wasted $3.40 sending my complaint to the FDA via Certified Mail! Now they really are going to think I'm a nut!